Well this is it, it's the last day of the season. You will be glad to know that the Eden is running at a perfect level, but the weather is not so good, wet and breezy at the minute. 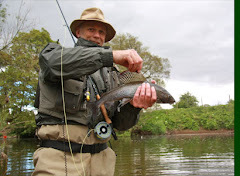 From myself and John we hope you have had a good season and please don't forget that the grayling fishing continues right into January and as you may have found out this year we have plenty of them in the river. All the best, Steve and John. Another cool start this morning with continuing good river conditions. A few spots of rain overnight will have had no effect on river levels. Those having their last day today should find the river in pretty good nick. All it needs is the fish to be on form!!! 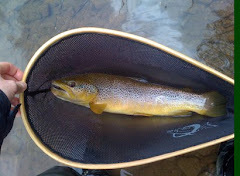 No rain yesterday or overnight so the river should be OK for the last Saturday of the trout season (where did it go?). The mist should burn off as the day warms up but it's cool at the minute - a typical Autumn morning. The river is still running at a good level and the weather is cool and sunny. The river conditions are good and the weather is dry, cool with patchy cloud. It's the coldest morning so far this autumn with a touch of frost here and there and the river is still running well. The Eden is still running at a good level and the weather is dry and overcast. The weather is very nice and the river conditions are still bob on. Hello norman ! The river conditions are still very good and the weather is very nice. The river conditions are good and the weather is dry and bright. It's a beautiful, cool, crisp morning and it looks like the weather is going to be fairly good, plus the river is running at a nice level. The Eden seems unable to drop to a normal level at the min because the ground is so wet, but it is still fishable.The weather is overcast and damp. The river conditions are unchanged, it is still running at a good level, but the water temp is quite cool. The weather is damp and overcast this morning. The river has dropped and the weather is good, not much more to say. The Eden has dropped to a reasonable level with a bit of colour in it and the weather is dry,bright and crisp. Very nice morning. The Eden is doing something, not sure whether it's going up or coming down because it's doing it that often, but at the moment it's fishable in the upper reaches. Oh yes, it's raining again. The Eden is still dropping and is fishable even though it's still slightly above normal height. The weather is damp and overcast. The river is still on it's way down, but it's dropped enough for a day on the river with a chance of better conditions on the upper reaches. There was lots of rain yesterday and that brought the river up, so it's no good for fly. The Eden is still dropping, but has cleared quite a bit and will be fishable on all stretches .The weather is dry and overcast. The Eden is still a beer colour and running quite high. I would say that the upper reaches are the only chance of a days fishing with the fly, but things change quickly up here. Still bloody raining , so as a consequence the Eden is still to high and will stay that way for the next 12hrs or so. Not a lot to say really FLOODED and MUCKY. No good. The Eden is dropping slowly and should be fishable in the upper reaches, but be quick because the weather is FORECAST (probably wrong again) to get quite bad this afternoon. At the moment the weather is dry and sunny. 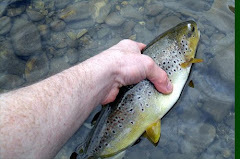 The Eden is dropping slowly after yesterdays heavy rain, but is still unfishable with a fly. All the showers yesterday have topped up the Eden and it is unfishable with a fly. The river conditions are still good and the weather is showery and wet. Yesterdays monsoon never appeared (what a shock) so the river is still running at a nice level and the weather is overcast and dry. The river is still running at a nice level and the weather is dry and overcast. No monsoons yet !! It's a dull, overcast morning, but dry. The Eden is still running at a good level with a tinge of colour in it. Looks good to me !! It's took a few days to drop to a good level, but it has now and the weather is dry and overcast. Chop chop !! The Eden is still above normal level and quite coloured, but will be fishable in the upper reaches and here and there down stream. The weather is dry and overcast. All the water is taking a long time to drop off, which leaves the river in a unfishable/difficult conditions area. You may get some joy on the upper reaches, but not on the lower areas. The weather is damp and cloudy. All yesterdays rain brought up the river and has left it unfishable with fly. The weather is wet and miserable this morning. Not a very nice morning here, raining at the min, but think it's going to clear up later. The river is still running well. If anything the conditions are a bit better than yesterday, because it's a cloudy day today and the river is still running at a perfect level. Chop Chop !!!! The weather is dry and bright with some patchy cloud and the Eden is running at a near perfect level. So make your butties and your flask and get a move on !!! Chop Chop !! With nothing more than the odd shower yesterday, the river should be in decent condition. The forecast for the day is also pretty good. With little rain over the last 24 hours the river should be getting back to something like fishable. As usual, the upper reaches will clear first. After the rain of the last couple of days, the river is likely to be up and coloured. Any chance of fishing will be at the top of the river. The Eden has risen overnight and is unfishable this morning with a fly, plus it's still raining now so i could come up some more yet. The Eden has dropped to a good level at kirkby stephen and will be ok upstream of here, but it may be slightly higher downstream of kirkby . The weather is breezy and wet at times. Looks like the Eden has been up all the time while i have been away and unfortunately today is no different. Not sure whether it's coming up or going down, but it's to high for fishing with fly. The river (at Franks Bridge) was fining down and carrying just a tinge of colour yesterday afternoon. More importantly, there were rising fish. With no overnight rain the river should be about right for today. However, get there quick - there's more rain forecast. The river was still high and carrying a lot of colour at Appleby yesterday afternoon. However, further upstream (where it matters) the river should be starting to clear and fall. As usual, the upper reaches will be the first to come good. At dusk last night the river was still up and carrying a lot of colour. Although there's been little overnight rain (at Ormside), the river will not have changed much. Only the upper reaches may offer a slight chance of fishing. It seems like this year is rapidly turning into a repeat of 2007. The odd dry spell then it rains and forgets how to stop. Over half an inch of rain has fallen since yesterday morning on top of already saturated land. If you're really desperate to fish, the upper reaches will be the best bet. Unless drowning worms is your thing. With little rain falling yesterday and overnight the river should be starting to drop back. However, the rain forecast for today has already started, and prospects for the day aren't looking good. Work or indoor sports look like the best option. The river was high and coloured yesterday afternoon. Since then the heavy showers have continued overnight. Today is likely to show no improvement on yesterdays river conditions and more rain is forecast. It looks like another day to earn the brownie points (or chase rainbows). With quite a bit of rain yesterday and overnight the river is likely to be up and coloured. Any chance of fishing today will be at the top of the river (and it's a slim chance). Due to a slight technical hitch, this weeks reports are being done by me. With that in mind, please be aware that they may not be as accurate as Steves. While the river was falling back to a good level yesterday, after the rain of Wednesday & Thursday, the rain that’s forecast for today is likely to make a further impact on the river. If you can get there before it gets into the river, conditions should be OK. However, if the weathermen have got it right (and the rain has already started), by the end of the day the river is likely to be up and coloured again. If you’re wanting to chance it, above the Belah confluence will probably be the best bet. The river is running at a good level with a bit of colour in the water and the weather is dry and cloudy. The Eden was dropping yesterday, but there has been plenty of rain overnight and it has risen a bit, but is still fishable. This may change as the day goes on and i can't be sure which way it will go. It's a damp wet morning and the river level is just about spot on. The river is still above it's normal level and beer coloured, but fishable. The weather is dry with clear skies. The Eden is still dropping and will be fishable in areas, but could rise again because there has been more rain overnight and it's raining now. The Eden is dropping , but very slowly and is still fairly high . The upper reaches could be the best bet. The weather is dry with sunny spells and patchy cloud. The Eden has still not dropped and is too high for fly fishing. A lot of rain has fallen in the last 24hrs and now it's found it's way into the Eden and is now rising and choccy brown. You will have to go to work !! The Eden is still at a reasonable height and the weather is dry and overcast with some bright spells. It's a slightly fresher morning with patchy cloud and the river conditions are unchanged. The Eden is still at a normal summer level and the weather is dry and cloudy. Looks like were in for another hot and bright day, not great for fishing, but the river level is still normal for the time of year. The Eden is still running at a nice level and the weather at the moment is cloudy, but warm and sticky. The river conditions are as they were, good and the weather is dry, overcast and very warm. The river is still running at a nice level and the it looks like its going to be hot. A day to find some shade i would say or fast runs or the pub. The Eden is still running at a nice level and the weather is dry, warm and cloudy. The weather is dry and overcast and the river conditions are still good. The river conditions are still very good and the weather is dry and overcast. The Eden is running at a nice level and the weather is dry and bright at the min. The Eden rose a few inches yesterday and is dropping now to a good fishable level with a beer colour to the water. The weather is dry and overcast. The Eden level is up on yesterday and is still fishable, but plenty of rain has fallen and the levels may change quickly. What i'm saying basically is, i haven't got a clue what the river is going to do. Another wet and cloudy morning and the river conditions are still spot on. The river conditions are still good and the weather is damp and overcast. The Eden is running at a nice level and the weather is dry at the moment with patchy cloud. It's a breezy and overcast morning and the river conditions are still at a nice level with a bit of colour in the water. The river is dropping off now to a good level with a tinge of colour in it and the weather is dry and overcast. The Eden is still a bit beer coloured and is still dropping, but it is fishable, probably the upper reaches are the best bet. The weather is dry with some patchy cloud. The Eden is still high and beer coloured and no good for fly fishing. The weather is still pretty bad as well, rain and rain. Go to the pub . It's another wet and miserable morning and its still raining now. Because of all this rain the Eden hasn't dropped and is still too high for fly fishing. There has been a lot a rain in the last 12 hrs and the result is that the Eden is unfishable with a fly. The weather is wet and windy. The Eden is still dropping back, but is at a fishable level with a tinge of colour in it. The weather is dry and sunny. The Eden is still quite high for fly fishing, but the upper stretches should be better. The weather and damp and cloudy. The river conditions are above normal and would be difficult conditions for fly fishing, plus i would expect the river to rise again because it's raining quite heavy now. The river rose yesterday after all the rain and is slowly dropping off now and will be fishable in the upper reaches. It's raining at the min and looks like there is plenty more to come. Sorry for no blog yesterday, technical problem, forgot !! It's an overcast, dry morning and the river conditions are still very good. The river conditions are spot on with a slight tinge of colour in it and the weather is dry with patchy cloud. The Eden has risen a few inches after last nights heavy rain, but is still fishable and clear. The weather is dry and sunny at the min. The Eden is still running at a good level and it is nice and clear. The weather is dry and warm with sunny spells. The Eden is running clear at a good height and the weather is dry and bright with some patchy cloud. With little rain over the last 24 hours the river should be in pretty good condition. The weather's currently overcast and breezy. Apologies for the late report (due to a slight communication breakdown). The river was fining down nicely yesterday afternoon after the recent rain. There's less than 1mm in my rain gauge this morning so, unless there's been any more substantial rain further up the valley, the river should be in pretty good condition for today. Overcast with a slight breeze at the minute. It's a sunny, cool morning up here and the river is dropping after rising yesterday afternoon. The river will be fishable in the upper reaches, but could be a bit more difficult in the lower reaches. The river is still running clear and at a good level and the weather is wet at the min and breezy. The river has dropped to a nice level and the weather is dry and breezy with patchy cloud. The Eden is taking a long time to run down to a nice level, but it will be fishable in areas especially the upper reaches. The weather is dry and overcast. All yesterdays rain is still feeding down through the Eden and it has left it to high for fly fishing, but if drowning worms is your thing ,it's a good height. It looks like the monsoon season has started!!! After yesterdays almost constant rain and the blustery showers so far this morning, the river is unlikely to be the nicest place to be today. It's a day for earning brownie points. The Eden is running at a perfect height and the weather is dry and overcast, but quite warm. So make your sandwiches and flask and get yourself down to the river and forget about all the depressing #### on the news !! The Eden is still dropping after yesterdays flood, but at kirkby Stephen and above to pendragon is fishable. Below down towards musgrave may be a bit higher, because several becks feed in down there. The weather is dry, breezy with sunny spells. Sorry for the last few blogs not appearing. Finally something to say and the blogger starts playing up. You will probably have noticed that all the missing blogs have appeared now. Sorry if this has messed your fishing up, hopefully it will work in the morning. Steve. The Eden is dropping now after the rain of the last 36 hrs and should be in reasonable condition by tomorrow. There will be another report in the morning, if the bloody blog works !! Can you imagine how p'd off Steve is now that there's something different to write and his PC is playing up? The rain of the last 36 hours or so has reached the river and made an impact. A text from Steve at 3:30 this morning said that the river was too high to fish (with fly). With more showers forecast for today there's unlikely to be any change before tomorrow at the earliest. Can you imagine how p'd off Steve is that, now that there's something to write, his PC is playing up? The rain of the last 36 hours or so has reached the river and made an impact. A text message from Steve at 3:30am said that the river was too high to fish (with fly). With more showers forecast it's unlikely to change much before tomorrow. This report is for Wednesday night and Thursday. The river level is very good and fishable at the min, but obviously if the rain keeps falling it may get to high for a day on the river. At the moment it is still raining and looks like there is plenty to come. Sorry for no report this morning , the blog didn't publish. There has been a fair bit of rain overnight and it has put a bit of freshwater in the Eden and coloured the water slightly, but the level has hardly changed. It's not raining at the moment. The eden is still running low and the weather is dry and cloudy. Another dry and sunny morning and the river is running low. The eden is still running low and the weather is dry and cloudy, with showers forecast. Just for your information, the river may be running low, but if your willing to do a bit of crawling and creeping the trout are still being caught. Somebody got 13 the other day !! No it wasn't me ! It's a cloudy, dry morning and the river is still very low. It's raining at the min, but don't get to excited the river level is still low. It's a cloudy, dry morning and slightly cooler than of late, but the river is still running at a very low level for this time of year. Another bright, dry day and the eden is still running low and clear. The weather is dry, sunny and quite warm and the river is still running low and clear. The river is running low and the weather is dry and sunny. The weather is dry with sunny spells and the river is still running low. Yesterdays rain has put a bit of fresh water in the river, but the level has hardly moved. There has been a fair bit of rain overnight and it looks like there is more to come and it's still raining now. The river is still unaffected by this so far and is still low. The weather is dry and cloudy and the river conditions are still the same. Yes i am writing the same thing again. River low, weather dry, fishing good . Think i will start putting in random words to try and brighten it up. HAEMOGLOBIN !!! 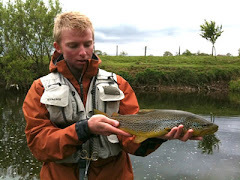 The eden is still running at a low level, but fishing well and the weather is dry and overcast. There has been a bit more rain overnight, but river levels are still the same and the weather is overcast and dry. The rain yesterday hasn't affected the river level, which is still low and the weather is dry and cloudy, but warm. At last it is finally raining, but it's going to take a lot to change the river level which is still low, but it's a start. The conditions are still low and no rain and wind is coming from the east and it's quite strong . Another dry but breezy day. Time to brush up on the stalking skills. With no rain and no change in wind direction (or strength) fishing conditions are unlikely to be any different to recent. With no rain (and none forecast until midweek) and the wind still in the East, it looks like today will be another hard one. However, there are still fish to be had if you're careful. Still no rain , so the river is still running below normal and the weather is dry and overcast. The river conditions are still the same and the weather is cloudy, cool and quite breezy. The river conditions are still below normal for the time of year and the weather is dry and bright. The river is still running slightly below normal height for this time of year and the weather is sunny and cool. The river is still running at a summer level and the weather is dry and sunny. The river level is still good , but some would say that it's low for this time of year, but this river fishes well at these levels you just have to be careful and commando about a bit. The weather is dry with sunny spells. It's a cloudy dry morning here and the river conditions are good considering it hasn't rained properly here for a few weeks. Repeating myself now !! The eden is running at a normalish height and the weather is cloudy and dry at the moment. The weather has become a bit cooler with a easterly breeze and the river conditions are still ok. There is still no change in the river conditions. The weather is dry and bright , but cooler than it has been recently. The weather is dry with patchy cloud, but still warm and the river conditions are still good. The conditions are the same as the last few days and the weather looks like it's going to be hot again. Another hot day and the river conditions are still good. The river conditions are the same as the last few days, good . It looks like another warm/hot day in store, because it's warm already with hazy sunshine. Apparently there are some showers on the way, but at the moment the weather is dry and sunny and the eden is running at it's normal height. It's going to be another hot day and the river is running well. The river conditions are still good and it looks like it's going to be sunny and hot. I would look for shade, either trees on the river bank or trees in a field for a kip !! The sky is clear and it's quite warm already and the eden is running spot on. Although yesterday saw almost constant drizzle it's unlikely to have had much effect on river levels. To add to that, the temperature's been considerably higher over the last few days and it's forecast to get warmer over the coming week. Perhaps we may now start to get the consistent top of the water sport that we're used to at this time of year. It's a dry morning with patchy cloud and some sunny spells and the eden is running well. The eden is running at a good level and the weather is dry and cloudy. No excuses !!! The eden rose again yesterday, but has now dropped to a fishable level with a tinge of colour in the water. The weather is very nice at the min, sunny with a clear sky. The eden rose yesterday and is still dropping slowly back to its normal level. It is fishable in places, but it is still beer coloured and could rise again if there is some more rain.The weather is dry and cloudy and the min. The eden has dropped and is running clear, but is still running above normal and may be a bit higher downstream of the river belah. The weather is dry and overcast. The eden rose again yesterday and is still to high for fly fishing, plus the weather is not so good either, showers and breezy. As mentioned yesterday the eden was rising and got quite high. It has dropped now to a level where it will be fishable in areas upstream of the main tributaries. The weather is dry at the min with patchy cloud. Its very windy and raining here this morning, plus the river level is creeping up. Stay at home ! It's a damp, overcast morning, but the rain that has fallen in the last few hours has not affected the river level which is still good. It's a overcast, cool morning with a few flakes of snow falling and the eden is still running well. The river is still running at a nice level and the weather is cool and dry. Most of yesterdays snow has melted at lower levels and the river conditions are clear and a normal height, but the water is very cold. The weather is dry with patchy cloud. While I was mad enough to have a couple of hours in the river yesterday afternoon (and add another 2 fish to the seasons tally), looking at the amount of snow in the garden (about 4 inches), I suspect that I'd struggle to get there today. If you haven't got 4 wheel drive forget it. If you have you're probably on a loser anyway. Todays the day to start filling your fly fly box if you haven't already done so. There has been a covering of snow overnight with more snow showers forecast for today. None of this has affected the river conditions, which are still good. The river is still running clear and at a normal height. The weather is quite cool, but dry with a strong northerly breeze. There has been some rain overnight, but don't think it will affect river levels much, which are still good. Cool, dry morning and the eden is still running clear at a normal height. The forecast frost has never materialised, but it is still quite cool. The river conditions are still good. sorry for no blog this morning, due to technical difficulties! River conditions for today were fine and due to the fact that there is no rain forecast tomorrows conditions will be good as well....but cold. The river conditions are like yesterday, good. But the weather has different ideas, because it's raining and quite breezy, but you can always find a sheltered spot. Just a word of warning that the fire brigade are doing an river rescue exercise this morning at musgrave bridge from 10am till about 12 midday. Welcome to a new season on the Upper Eden, you'll be pleased to know that the river is running clear and at a good level. The weather is overcast and drizzley. Thanks to everyone who turned up at the AGM last night it was very successful and productive. This year's AGM will be held at the Bay Horse Inn at Winton at 8pm on Friday 14th March.